Butterfly Reflections, Ink. : Fantastically Foilicious! 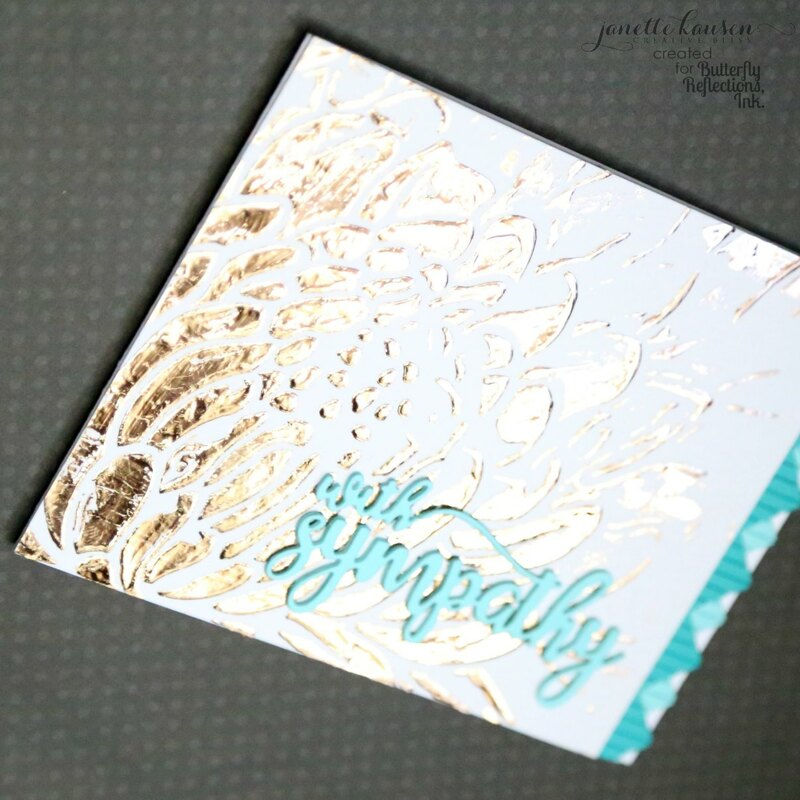 Sympathy cards are not something we want to have to send, but we do. We send them to let those we care about know that we are thinking of them at a time of loss. We may not know the right words to say, but a handmade card just might touch them in a way that words cannot. Hi friends! I am glad to be back on the BRI blog today! 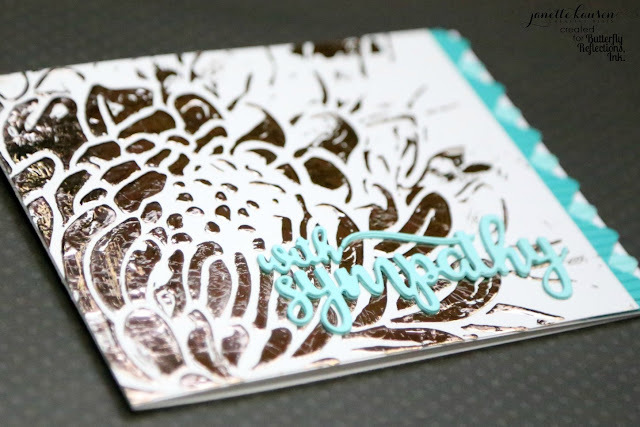 Follow along to see how this fantastically foilicious (but hard to photograph) card is made. All the awesomeness just cannot be captured in a still image! I began with a 110lb 4.25" x 5.5" white cardstock panel. I pulled a stencil from my stash (any will do!) and placed over the panel. Secure to craft mat with washi tape. Next, spread Minc Reactive Paint or Art Screen Ink haphazardly across the taped down stencil. Carefully pull up the stencil while paint/ink is still wet and set panel aside to dry. Take a minute to wash the stencil with warm water (better now than later!). The viscosity is a bit different between the Minc Reactive Paint and Screen Ink, but they are very similar. Do use the Screen Ink if you intend on doing any silk screening at another time. While that dries, turn on your laminator or Minc machine to level 3. Die cut the accents for the right side with My Favorite Things Chevron Fringe Die. I chose Lawn Fawn cardstock in Mermaid and Peacock. Die cut 3 Avery Elle With Sympathy sentiments with Mermaid and adhere together in a stack for dimension. 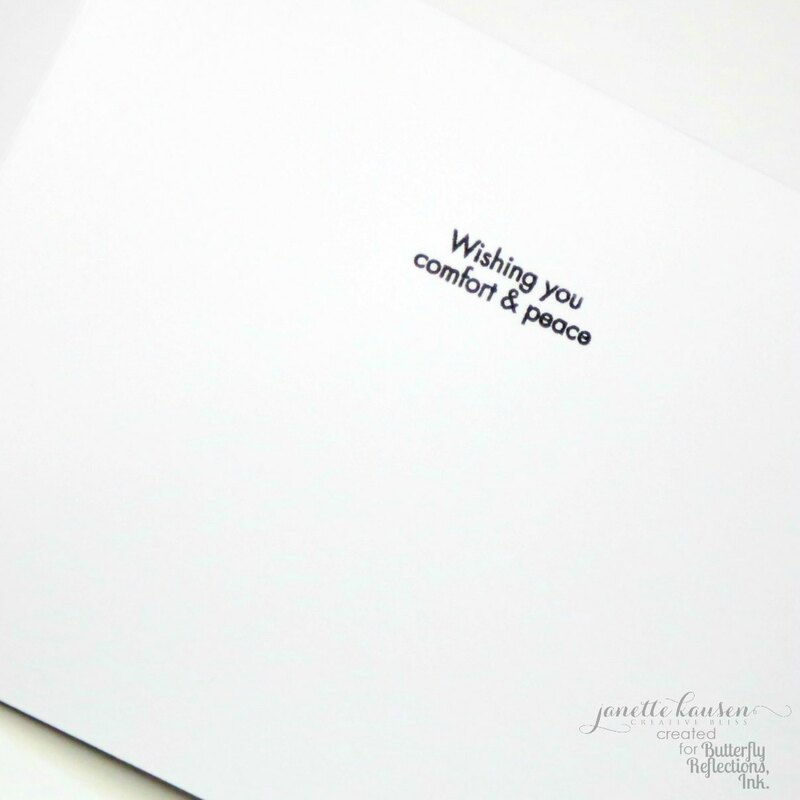 Choose a sentiment from the Avery Elle With Sympathy stamp set for the interior of the card. This is where the magic happens! Now that the paint is dry, place your choice of foil over the top, shiny side up. I used Minc foil in Rose Gold. Then place the set in a carrier sheet and send through your machine. Once it cools, remove the foil to reveal the deliciousness. To complete the card trim the panel to just 5 or so inches wide and add the side fringe embellishment by adhering to the back. 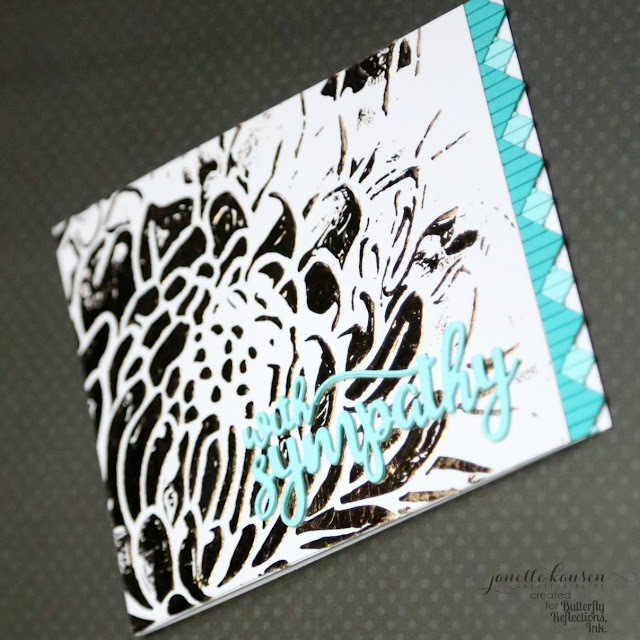 Adhere the panel to a card base and apply the stacked sentiments. Be sure to trim the front on the base to match trimmed panel size. This card is so much more stunning in person. 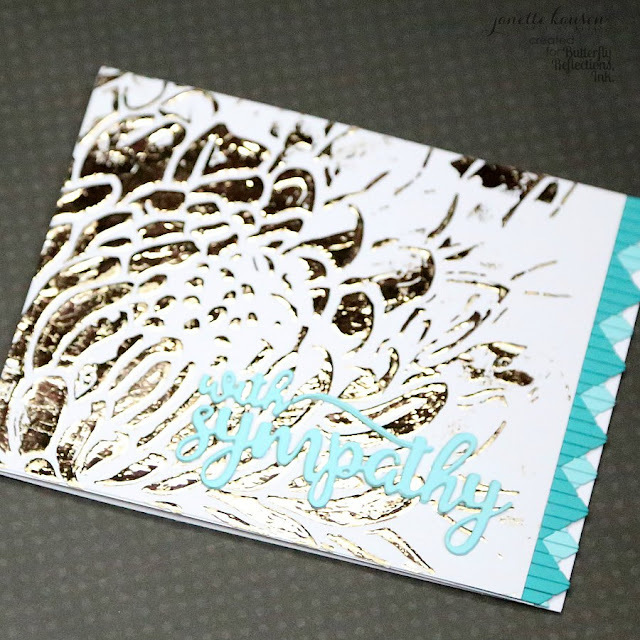 I encourage you to give foiling a try, it is magically delicious! See you again soon, but until then, hop on over to the Butterfly Reflections Ink shop so you can nurture your Creative Bliss!